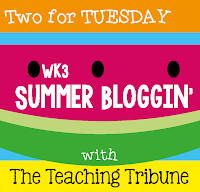 Today, I am linking up The Teaching Tribune for Two for Tuesday. I have picked two fabulous products to be 50% off today. 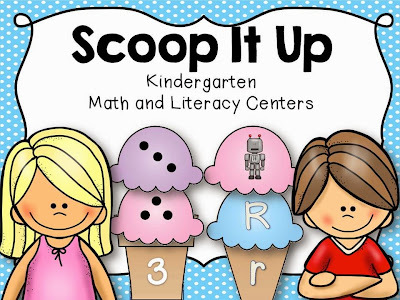 First up, my Scoop It Up Math and Literacy Centers for Kindergarten. At 50% off, you can snag this pack up for 2.50! There four Literacy Centers and three Math Centers designed to grow with your Kindergarteners. Students can work on matching upper and lower case letters with beginning sounds. 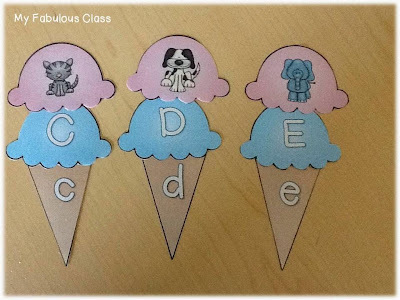 There are also centers for CVC words, sight words, and rhyming words. As you can see, my ink desperately needs to be replaced. It must be the end of the year! I LOVE to subitize!!!! 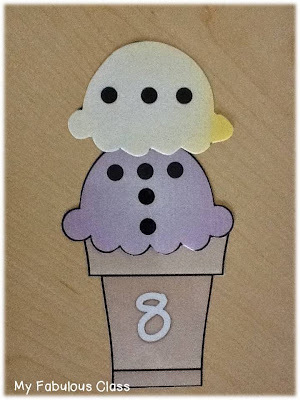 There are ice cream cones for the numbers 1-10. 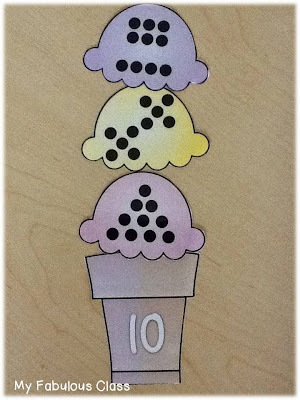 Each cone gets three scoops that show different ways to make 10. This is another center for subitizing. 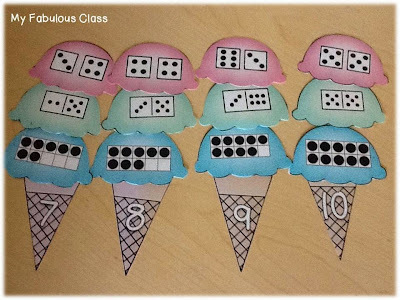 It shows how to make a number with dice, dominos, and ten frames. At 50% off, you can snag this for only $3.00! 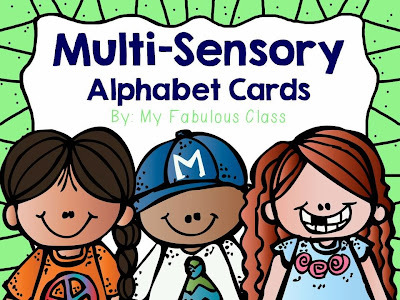 I created this set with three different mutli-sensory alphabet cards. Each set comes in color or black and white. 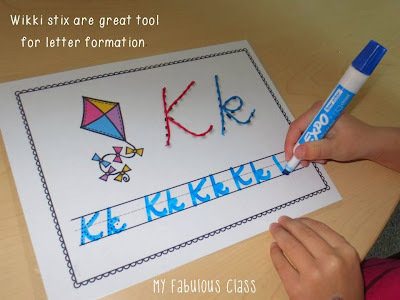 I have 5 different ideas on how use them to improve fine motor skills to help them with their letter formation. I LOVE wikki stix. Have you ever used them? They are bendable and you can mold them into anything! You can reuse them multiple times. his set lasted me all year. You can get them here at Amazon. You can also go to Wal-Mart. 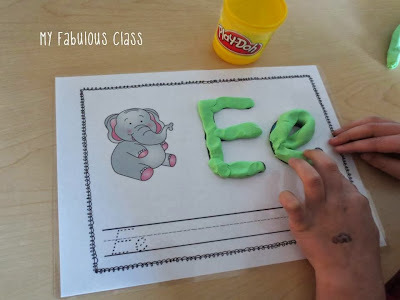 After students build the letter, they can practice writing. 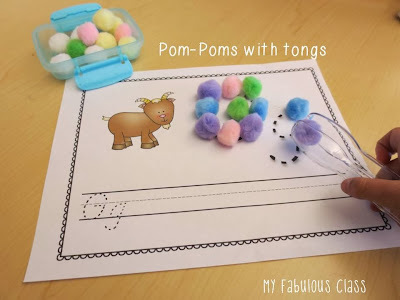 Pom-poms and tongs. Need I say more? The BEST for fine motor. Yes, these pom poms are the bigger ones. I have since bought the smaller ones. The plastic tongs came in a set of 2 at the Dollar Tree. LOVE it! Who doesn't LOVE Play-Doh? Perfect for little hands. This is an activity I did in my intervention group with students who did not know all of their letters or could not write them. 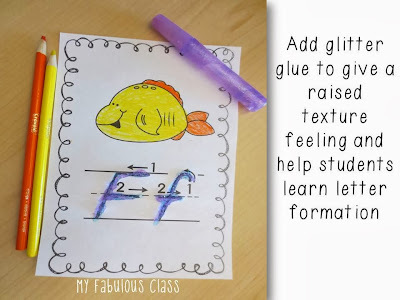 They traced the letter with glitter glue. It gave it a nice, raised feeling after it dried. They also got to color it. I dod not have a picture of the fifth way that I used them. I printed out the color version of the formation cards and placed them with a small box of sand. Students would trace the letter in the sand. That is more kinesthetic learning rather then fine motor, but it is still important. Make sure you stop by Teaching Tribune to see what else is 50% off. Mixing it up in Middle!